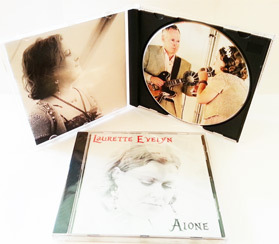 By clicking the play buttons next to each track below, you can listen to short samples of Laurette's music. Please note that your browser must support HTML5 or Flash. As such, these samples may not play on mobile devices. Update Required - In order to play the music you will need to either update your browser to a recent version or update your Flash plugin.